My hatred of straight-ticket voting has been chronicled numerous times on this blog and even during the time I worked for a living. It is one of the curses that have infected Texas government. 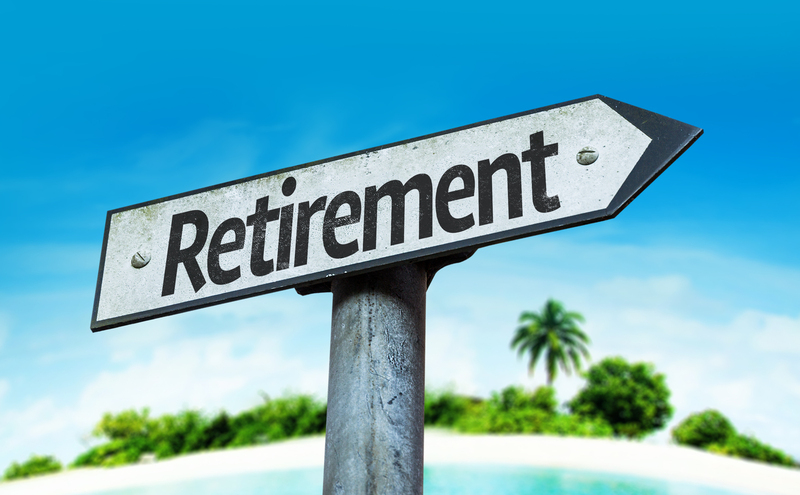 It’ll be gone before the 2020 presidential election, thanks to a repeal enacted by the Texas Legislature. 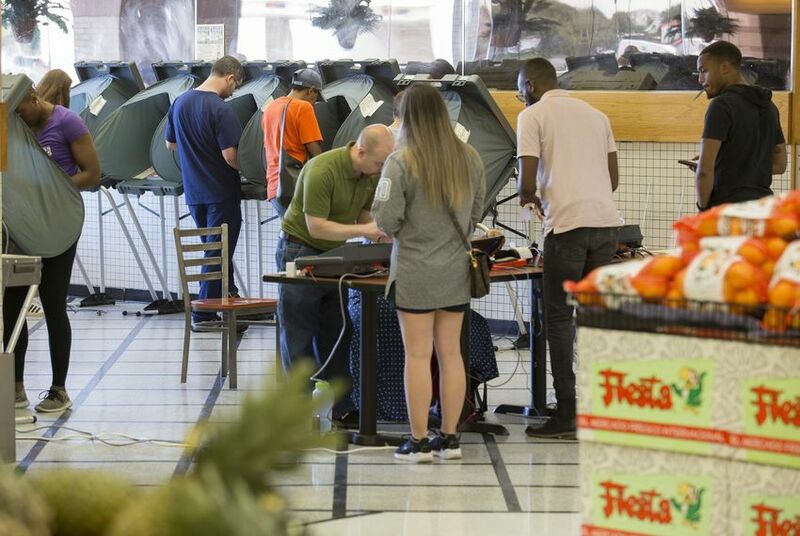 According to the Texas Tribune, the demise of straight-ticket voting didn’t happen soon enough to save the careers of dedicated public servants. 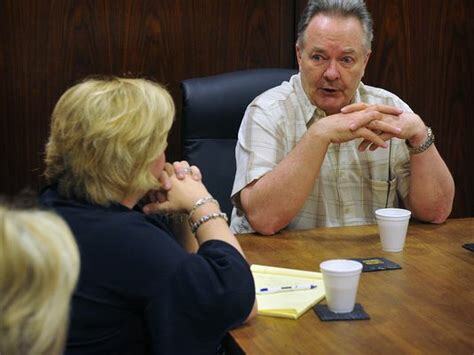 The Tribune singled out what happened to Harris County Judge Ed Emmitt, whose leadership helped Harris County recover from the ravages of Hurricane Harvey in 2017. Emmitt, a moderate Republican, drew bipartisan praise for his post-Harvey work. He lost re-election this past week, though, to a political novice, 27-year-old Democratic challenger Lina Hidalgo, who the Tribune reports had never attended a Commissioners Court meeting before defeating the incumbent judge. She benefited from straight-ticket voting, along with other Democrats appearing on down-ballot races in the midterm election. This is precisely why I detest the practice of allowing voters to punch the straight-party slot on the ballot. Too many politicians who should be elected or re-elected are bounced out simply because of party loyalty. The major beneficiary of this travesty in Texas in recent years have been GOP politicians, with worthy Democrats falling victim to voters’ polling place laziness. That’s going to change in 2020. The demise of straight-ticket voting at the very least will force voters to look at each race on the ballot and make their choices individually. My hope, but not necessarily my expectation, would be that voters would consider their choice before making it. Most states disallow straight-ticket voting. Texas, therefore, is joining a long list of states that have thought better about allowing voters to go just with the party without considering the merits of an individual candidate — whose performance or philosophy might not adhere strictly to a political party’s platform. The end of straight-ticket voting, in my view, is a win for the cause of good government. Every major event always seems to produce something of a “back story” that brings a smile to our face and expressions of gratitude for the bravery of average Americans. Hurricane Florence stormed ashore this morning and delivered a punishing blow to the Carolina coastline. It meandered inland and has been “downgraded” to a tropical storm. Five people have died from the storm’s wrath. We are saddened at that news. Then we have the Cajun navy, which has raced to the Carolinas from Texas and Lousiana. The Cajun navy is a collection of watercraft. 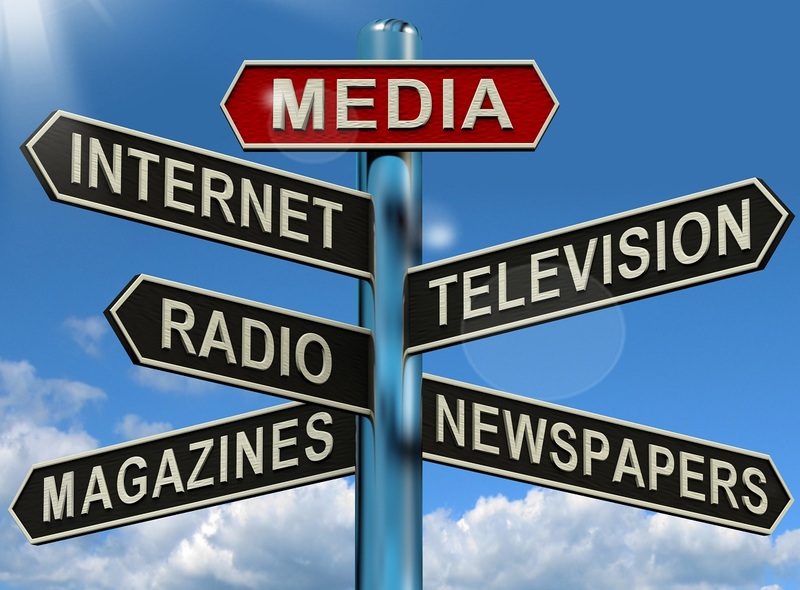 As MSN.com has reported: As Hurricane Florence trudged west off the sea into the Carolinas, an armada of kayaks, fishing boats, shallow-draft duck hunting boats, airboats and pirogues moved north and east from Texas and Louisiana to meet the storm. As the rains and winds began to whip the coastline, the all-volunteer flotilla settled in. The task of this “fleet” has been to rescue Carolinians stranded by the storm’s fury. They have been pulling people out of their flooded homes and motor vehicles and taking them to safety. Man, this is what Americans do for each other. 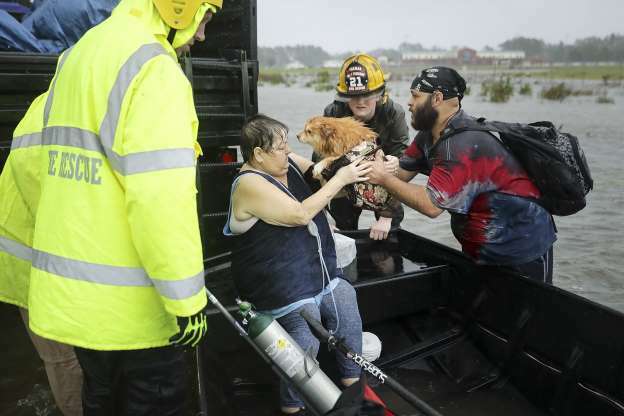 There’s more from MSN.com: Just as they did last summer in Texas during Hurricane Harvey, a group of grass-roots, ragtag search and rescuers have moved into Florence’s path, hoping to offer their services to the flooded, the marooned, the injured. Credited with rescuing thousands of people and pets during Harvey’s unprecedented rains, they plan to do it all again, a vigilante crew trying to assist the government’s rescue efforts. Yes, federal, state and local governments are rallying at this moment to provide assistance. Yet it’s the outpouring of selflessness exemplified by the Cajun navy that gives many of us hope in the goodness of a nation that rushes to the aid of those in distress. This story fills me with pride. This picture showed up on my Facebook news feed. It’s a page from today’s Houston Chronicle, the newspaper that has told the compelling, heartbreaking and heroic stories stemming from the Hurricane Harvey onslaught. There’s a point here, of course. 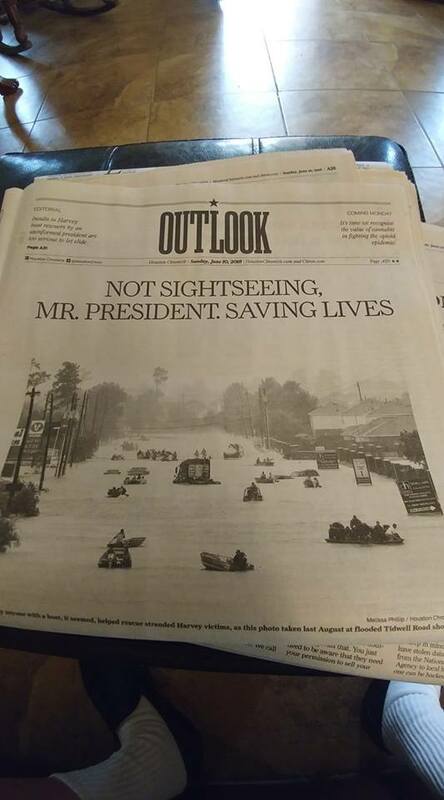 The headline refers to that idiotic comment the other day from Donald Trump, who suggested that Texans were out looking at the storm in their boats, causing the rash of water rescues rescues from first responders. He was on that conference call with Federal Emergency Management Agency officials when he blurted out yet another thoughtless comment, this time about Hurricane Harvey. 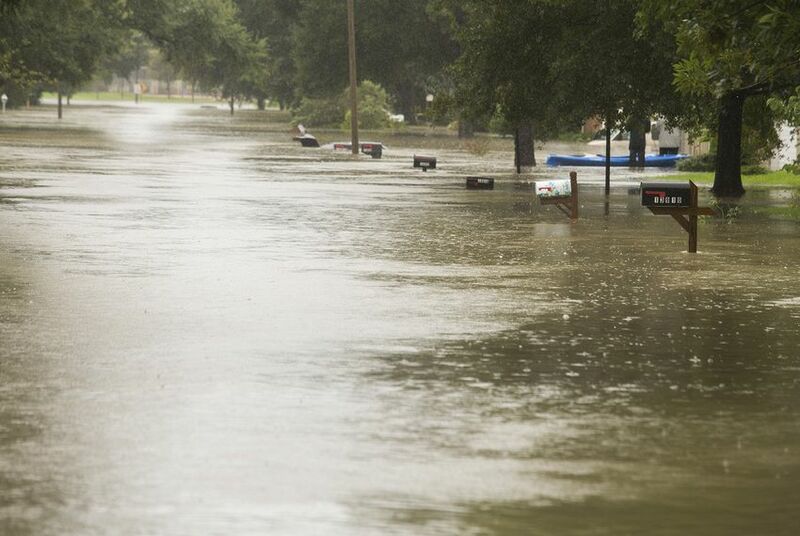 The storm dumped 50 inches of rain on the Gulf Coast in the span of 24 hours this past summer. Gawkers? Rubberneckers? Is that what Trump said was occurring out there in the midst of the storm? The Houston Chronicle has offered the perfect response. Texans were ‘watching Harvey from their boats’? Good deal, governor. I’ll need to know how the state prepares for a 50-inch deluge that falls within a 24-hour period. But then the president of the United States weighed in with yet another patently absurd assertion about how many Texans responded to the peril that was bearing down on them. Donald J. Trump said that Texas were “watching Harvey from their boats,” an act he said precipitated the large number of water rescues while the storm was battering the coast from the Coastal Bend, to Houston and the Golden Triangle. Trump’s idiocy has prompted an angry response from first responder officials. As the Houston Chronicle reported: “I didn’t see anyone taking the approach that would reflect his comments,” Gonzalez said. “I’ll be sure to invite the president to ride out the next hurricane in a jon boat in Galveston Bay the next time one approaches,” he added. 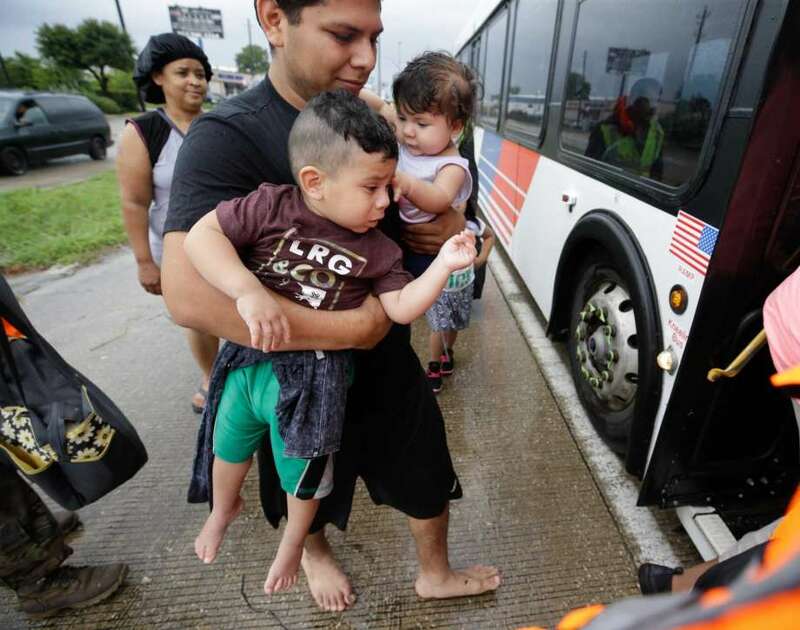 Texas House Speaker Joe Straus, a fellow Republican, tweeted a message that talked about how Texans responded to help their neighbors and that they weren’t gawking at the storm aboard their boats in the Gulf of Mexico. The Chronicle asked Abbott about Trump’s assertion, but the governor said he didn’t have “any information” on the matter. As the paper noted: This isn’t the first time the president has made comments that seemed bizarre or ill-informed. For example, he claimed without evidence millions of people voted illegally and inflated the number of people attending his inauguration and other rallies. He wrongly claimed to have seen Muslims in New Jersey celebrating the 9/11 attacks on television. So, let’s add this moronic assertion to the lengthy and no doubt growing list of presidential prevarications.